World Usability Day is a one-day of events occurring around the world that brings together communities to ensure that the services and products important to life are easier to access and simpler to use. 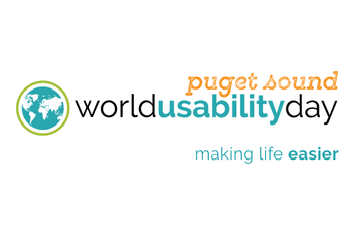 A few years back, in Puget Sound various companies held World Usability Day (WUD) exclusively. The likes of Microsoft, Google, and Disney. They eventually to come together and form a local chapter responsible for organizing WUD conference. The event was opened to public until this day. This became an opportunity for students, career changers, industry professionals, and agency to be part of a celebration and learn more about design, its impact, and usability.